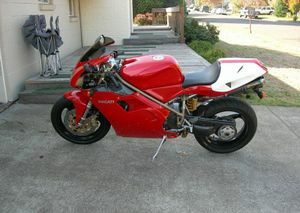 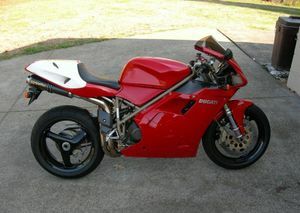 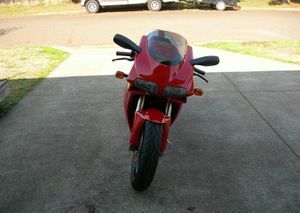 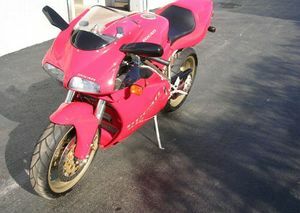 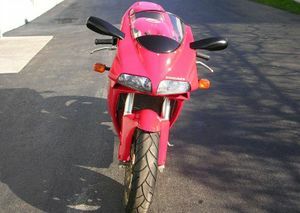 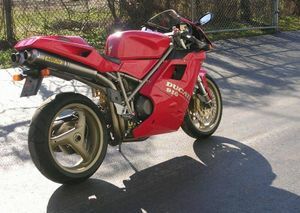 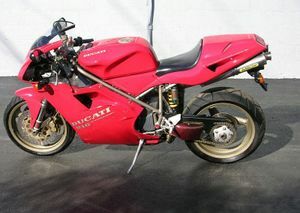 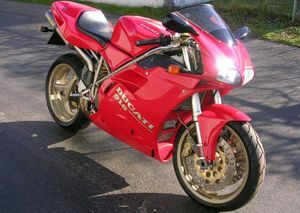 The Ducati 916 is a motorcycle produced by Ducati from 1994 to 1998. 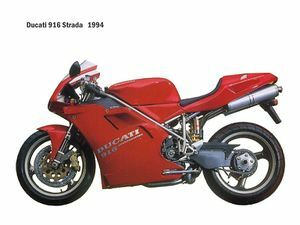 Sporting a 114 hp four-stroke V-twin motor, the Ducati 916 changed the design of superbikes and sport bikes alike forever. 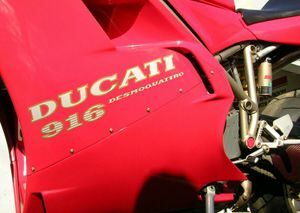 The model is included in the Discovery Channel's "Greatest Motorbikes Ever". 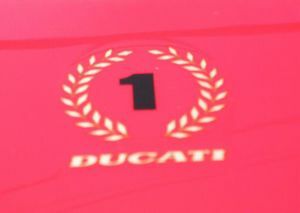 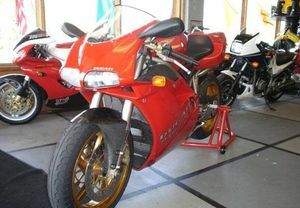 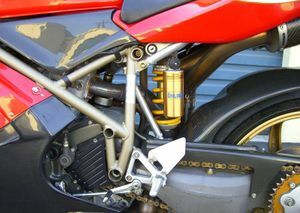 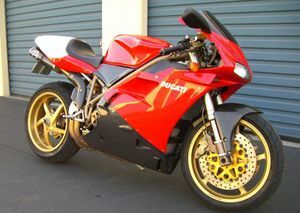 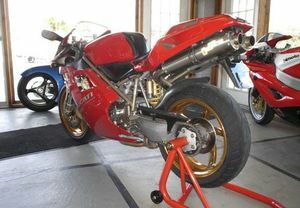 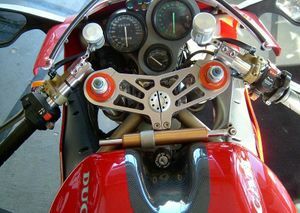 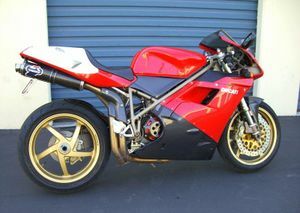 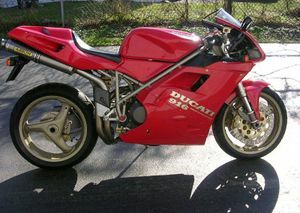 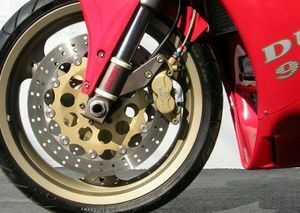 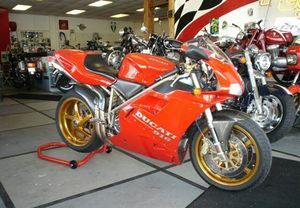 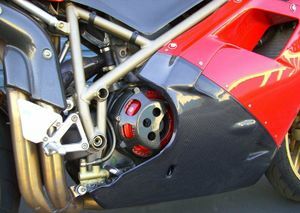 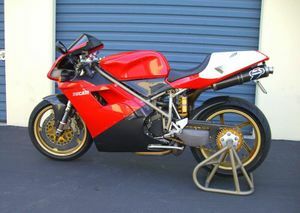 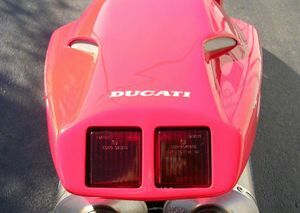 First released in 1994 (very limited number released in 1993), the Ducati 916 was admired because of its epochally new design and outstanding technical features. 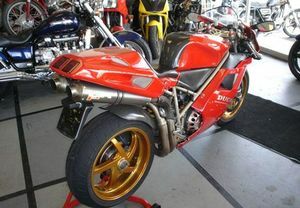 Designed by Massimo Tamburini and his team at the Cagiva Research Center in San Marino, the 916 was a water-cooled version of the 888 that allowed for higher output levels, combined with a striking new bodywork that featured aggressive lines. 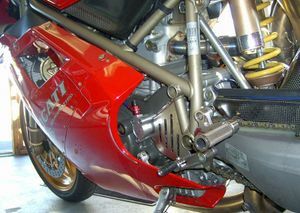 The single-sided swingarm was beautiful, but designed to make wheel changes faster during races The underseat exhausts improve aerodynamic performance, and resultantly gave very clean lines Carl Fogarty and Troy Corser showed the world what a magnificent motorcycle the 916 was upon its release, by sweeping the World Superbike titles in 1994, 1995 and 1996, with Fogarty being the winner in 1994 and 1995. 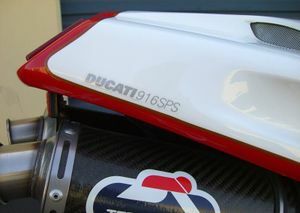 Supposedly only 50 SPS's were ever brought into the U.S. 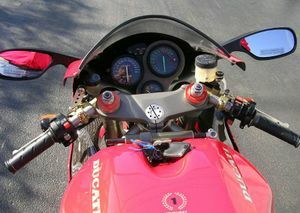 This page was last edited on 28 November 2010, at 20:39.